MX3D Bridge by Joris Laarman Lab. Photography courtesy of Joris Laarman Lab. 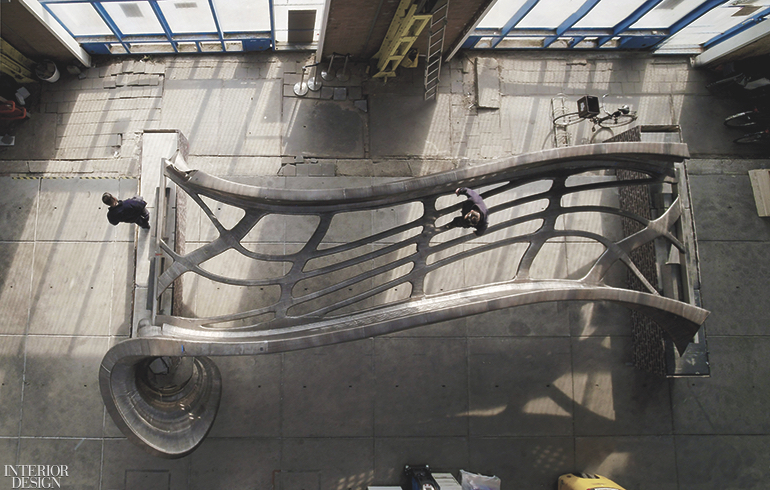 Large-scale 3-D printing is, err, crossing into new territory with the Bridge in Amsterdam. 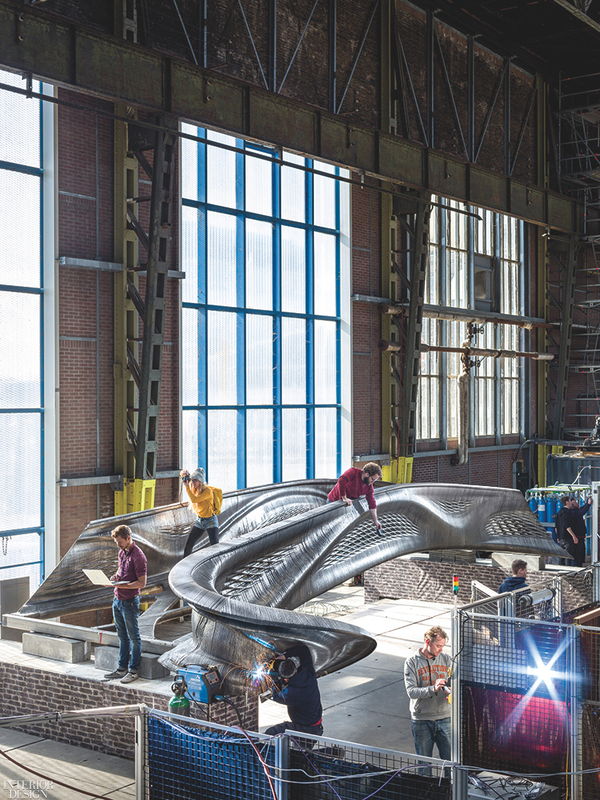 Joris Laarman Lab designed the sinuous pedestrian expanse for Dutch technology startup MX3D, whose mission is to equip multi­axial robots with 3-D tools and develop the software to operate them. Currently being produced by said robots in stainless steel, part of an overall process that is taking nearly three years, the 40-foot-long bridge represents the largest 3-D printed metal project in history, a feat accom­plished with partners Arup and Autodesk, among others. MX3D Bridge by Joris Laarman Lab. Photography by Thijs Wolzak.